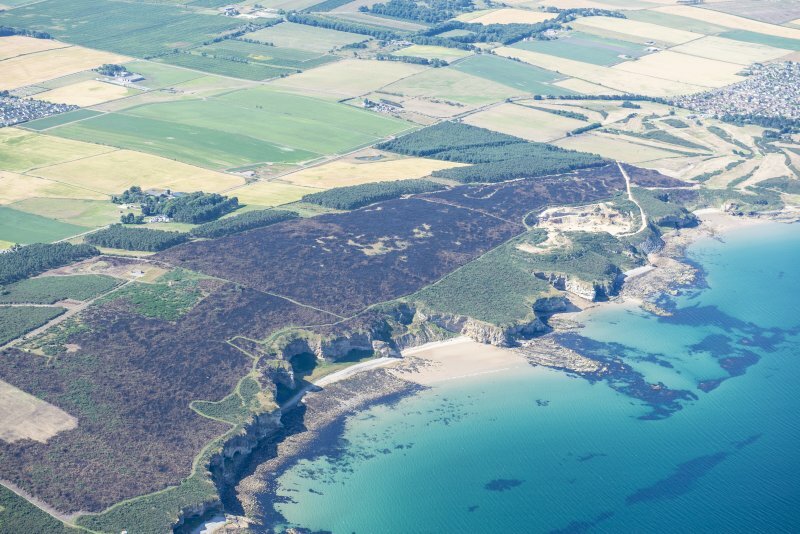 Oblique aerial view centred on the Sculptor's cave and Covesea caves, looking to the ESE. Pictish symbols and other sculptures at Sculptor's Cave, Covesea. Photographic copy of plate from 'The Sculptured Stones of Scotland', J Stuart, 1867, vol ii, 1867, plate 37. View looking out from cave. 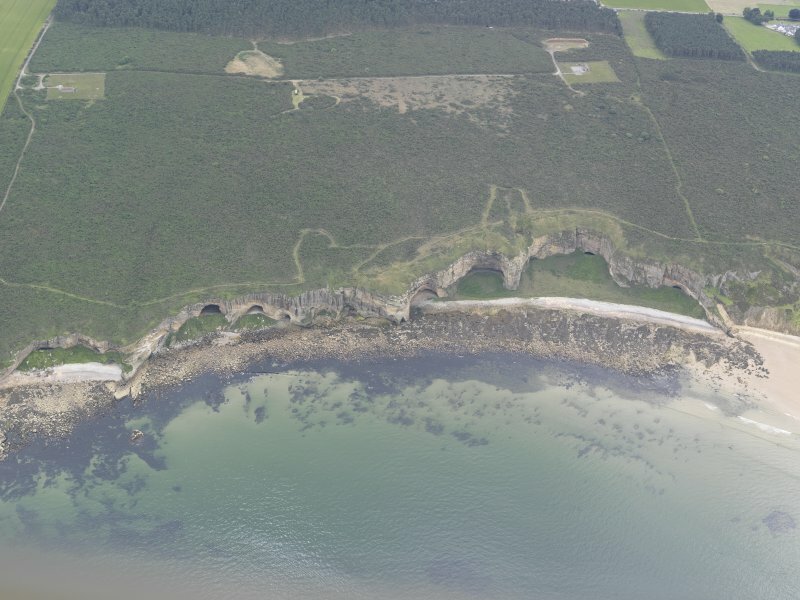 Oblique aerial view of the Covesea Caves, looking SSE. 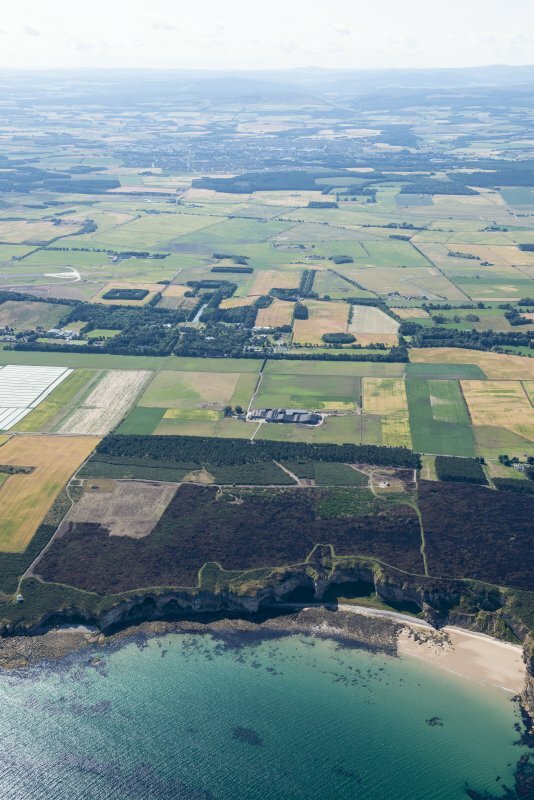 Oblique aerial view centred on the Sculptor's cave and Covesea caves, looking to the SE. Covesea Cave. 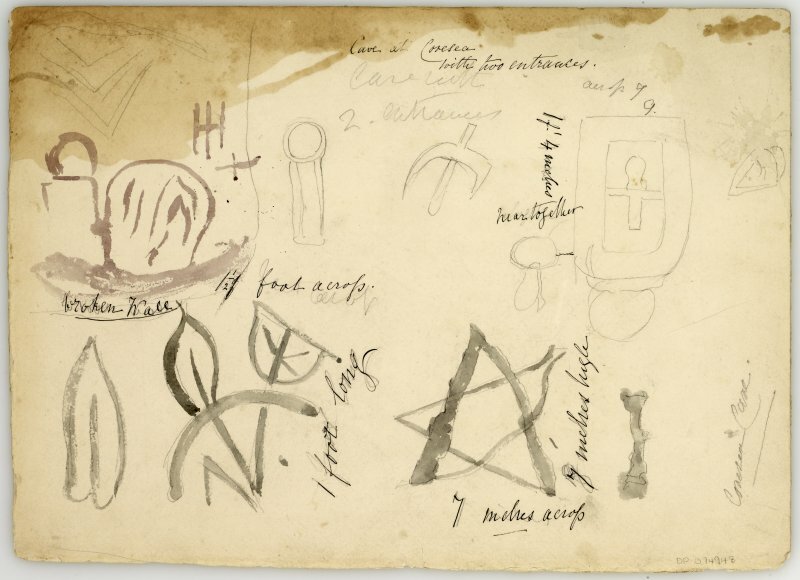 Digital copy of watercolour sketch showing various wall carvings. 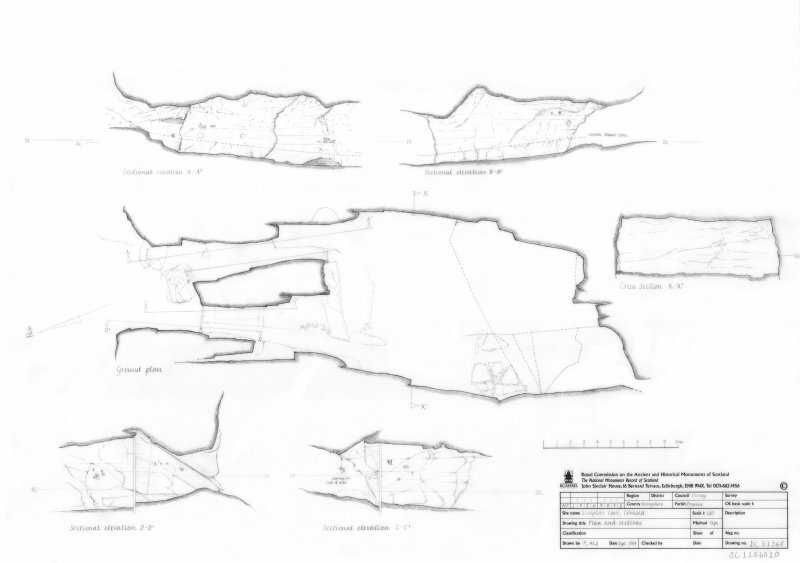 Drawing titled 'Cave at Covesea with two entrances' with annotations and measurements of carvings. 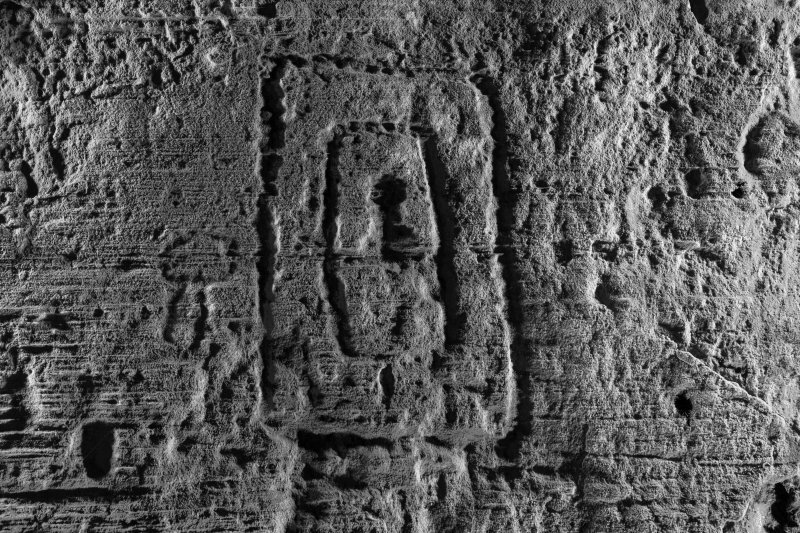 Digital image of Pictish symbol carvings at Covesea. 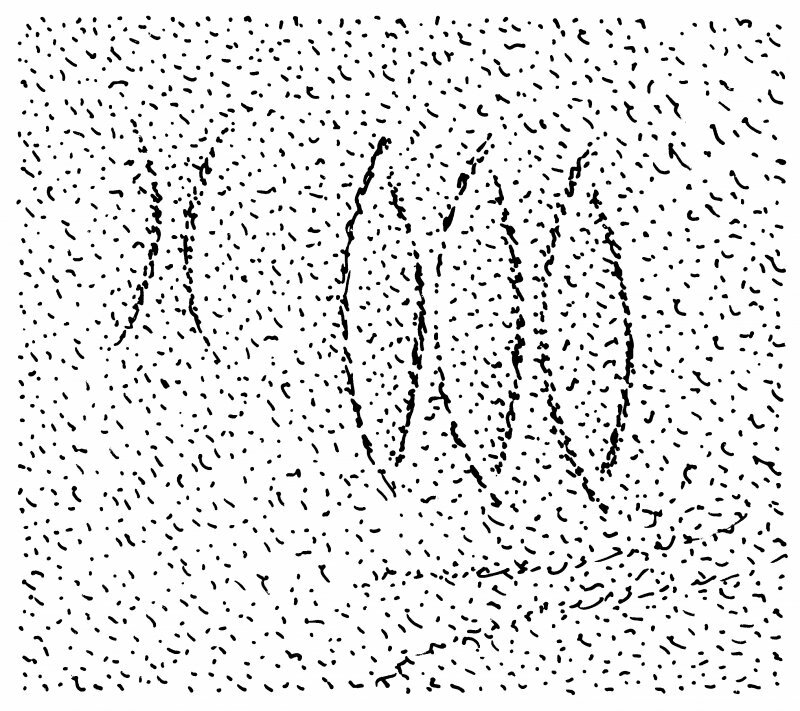 From Allen and Anderson, 1903, pps 130-1, figs 135-135c. 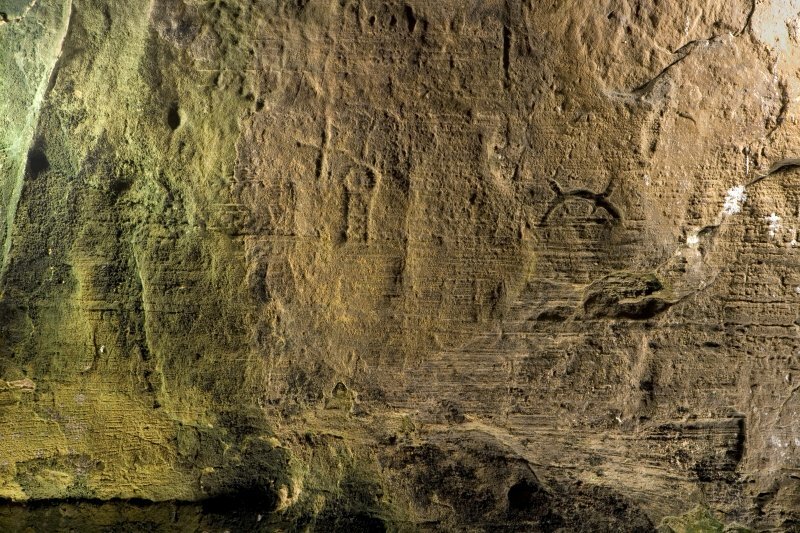 Pictish symbols and other sculptures at Sculptor's Cave, Covesea. Photographic copy from 'The Sculptured Stones of Scotland', J Stuart, 1867, vol ii, 1867, plate 37. Present location: in situ on walls of cave. Evidence for discovery: first recorded in the mid nineteenth century on the cave walls close to the two entrance passages. 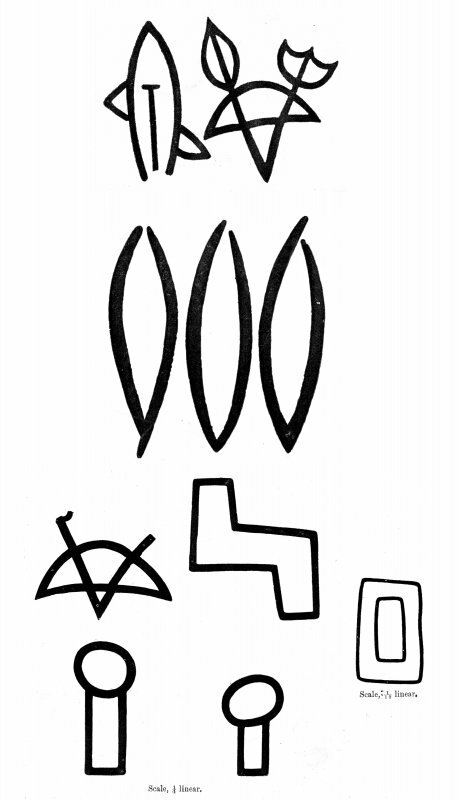 There are seven groups of incised Pictish symbols, including fish, crescent and V-rod, pentacle, triple oval, step, rectangle, disc and rectangle (‘mirror case’), flower, and mirror. References: Stuart 1867, xciv; ECMS pt 3, 129-31; Benton 1931; Fraser 2008, no 154. Desk-based information compiled by A Ritchie 2018. The Sculptor's Cave, Covesea, excavated 1928-9. S Benton 1931; G Macdonald 1934. The Sculptor's Cave is at NJ 1750 7072. 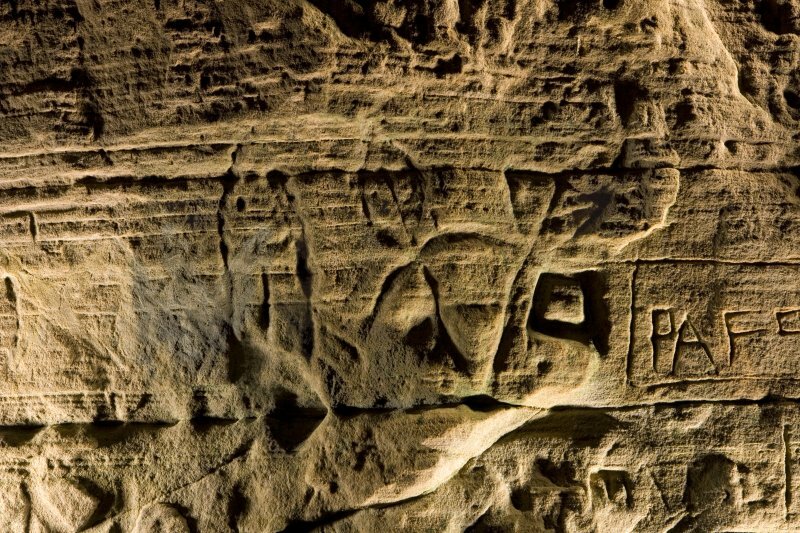 This cave still has clear-cut excavation trenches,and a number of sculptures that could have given the cave its name, were noticed. 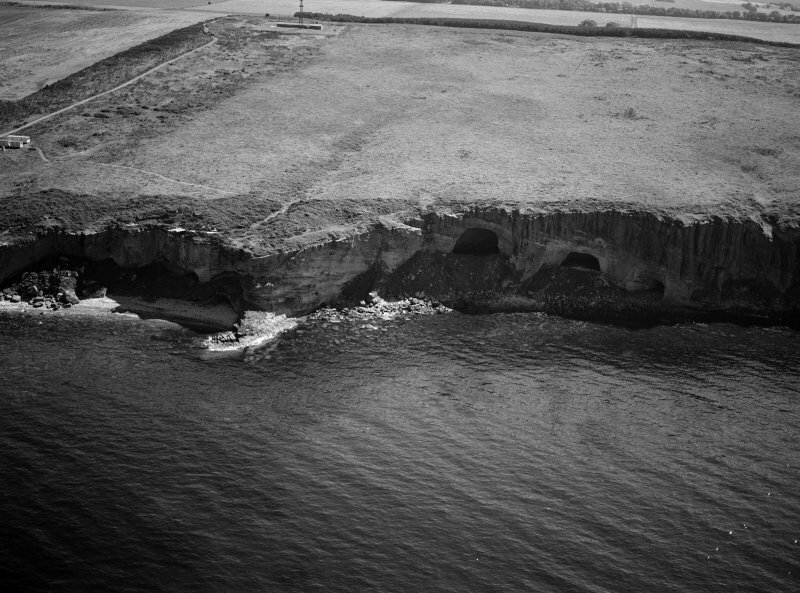 The cave has two entrances, side by side and partly boarded up. The east entrance is 3.0m wide and 2.5m high; and that on the west is 2.0m wide and 4.5m high (where excavated). From the entrances, two passages, 11.0m long, run into a cavern 20.0 x 13.5m and 4.0m high. 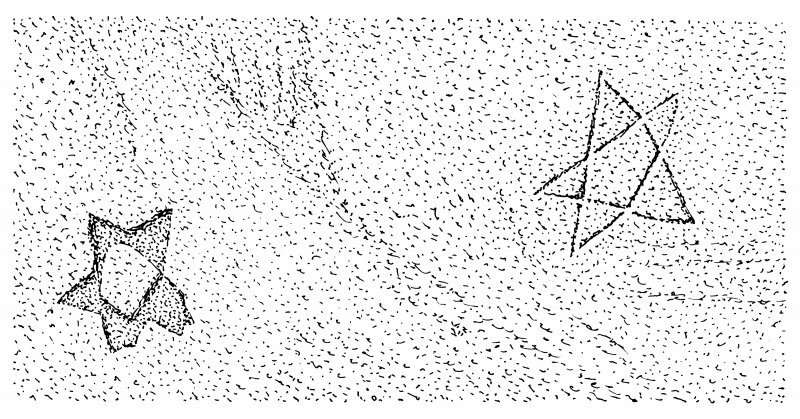 The floor near the entrance is of trampled earth and, in the interior, of loose shingle. Visited by OS (RDL) 3 December 1962. Finds from the Sculptor's Cave dating from the Bronze Age to the 4th century AD, and including Iron Age pottery, are in the Elgin Museum. Visited by OS (EGC) 12 November 1962. J Stuart 1867; J R Allen and J Anderson 1903. 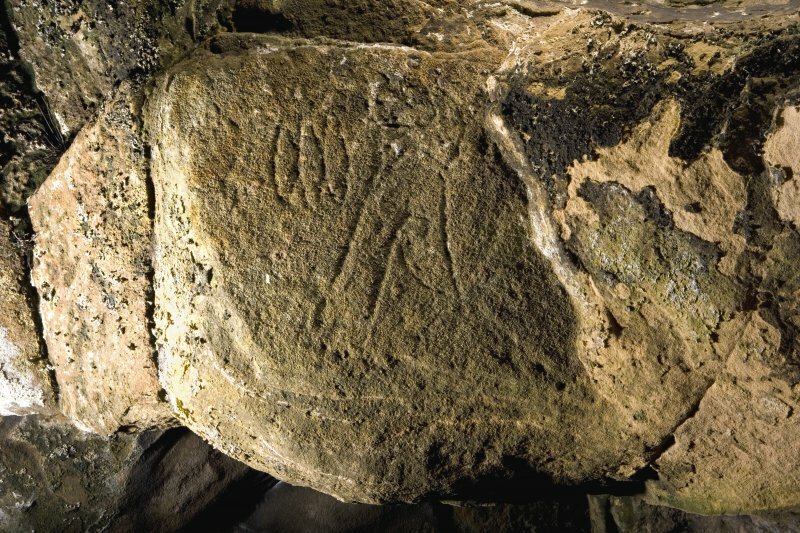 The Sculptor's Cave, Covesea, excavated 1928-9, is so named from the Pictish sculpturings on the walls. The occupation layers revealed yielded Bronze Age and Roman pottery, rings, bracelets, needles, etc., Roman coins, some of which had been re-used for ornaments, and a Viking rivet, human, animal, fish and bird bones. The Bronze Age objects were probably indigenous, but much of the Roman material was probably lost. 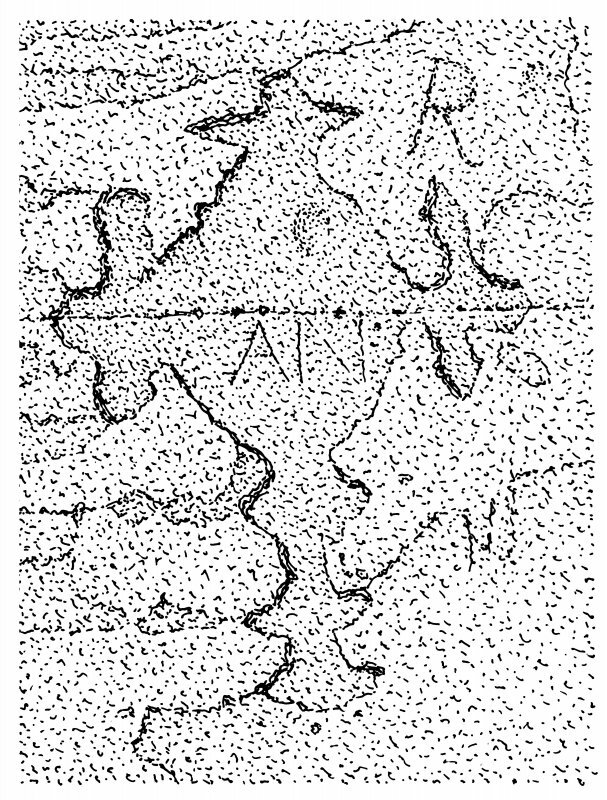 A Roman strip of bronze, 1 3/16" by 1/8" by 1/12, which divides into two for the last 3/8", inscribed SPILV, with P and L reversed, from the 1929 excavation is in the National Museum of Antiquities of Scotland [NMAS]. Roman finds consist of 2nd century Samian and coarse pottery and 4th century strap-ends but 4th century penannular brooches, needles,pins and rings, all of bronze, may be Roman and some glass beads may be of re-used Roman glass. Sources: J Stuart 1867; J R Allen and J Anderson 1903; S Benton 1931; G Macdonald 1934; D R Wilson 1966; A S Robertson 1970. In the late 1970's, Ian and Alexandra Shepherd conducted rescue excavation on the limited remaining deposits, which Benton had left within the twin entrance-passages; further Late Bronze Age metalwork was revealed. Seven amber beads, of Late Iron Age or Romano-British date, were found in a mixed settlement layer in the Cave. There are large amounts of material from the layer but associations of the amber are mixed in date (NMAS acc no.HM204, 206-8). Only three beads (and fragments) are extant. There is one medium-sized annular bead with a rounded rectangule longitudinal section. A second bead is medium-sized, of short cylindrical shape with sharp edges a circular cross-section and rectangular longitudinal section. 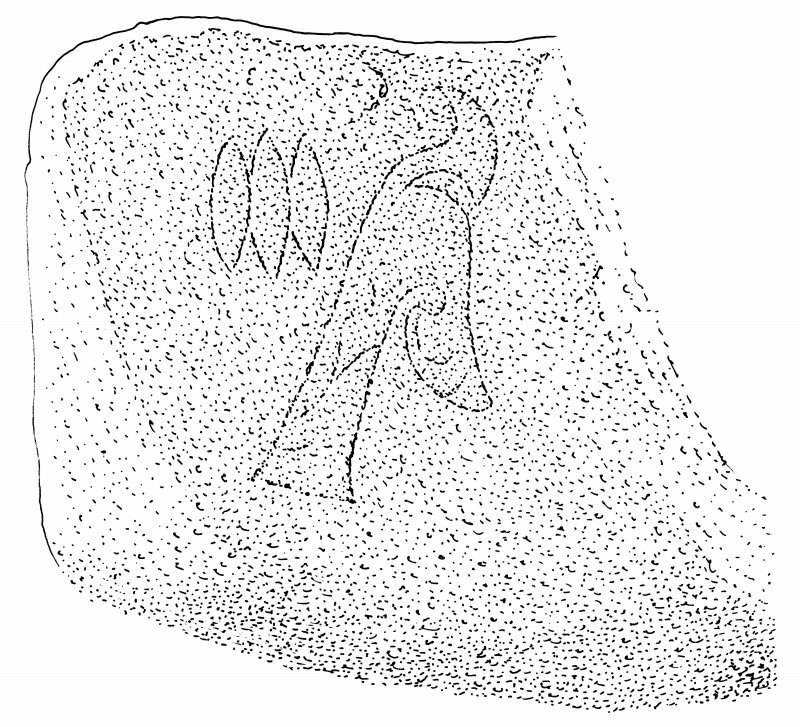 The third surviving bead is medium-sized, truncated conical shape with a circular cross-section and trepezoidal longitudinal section. The beads range in size from between 10.5mm and 17.5mm in diameter or length by between 6mm and 15.5mm in thickness. 5. On the roof 'canopy' between the two entrance passages, a triple oval and a flower symbol. 6. 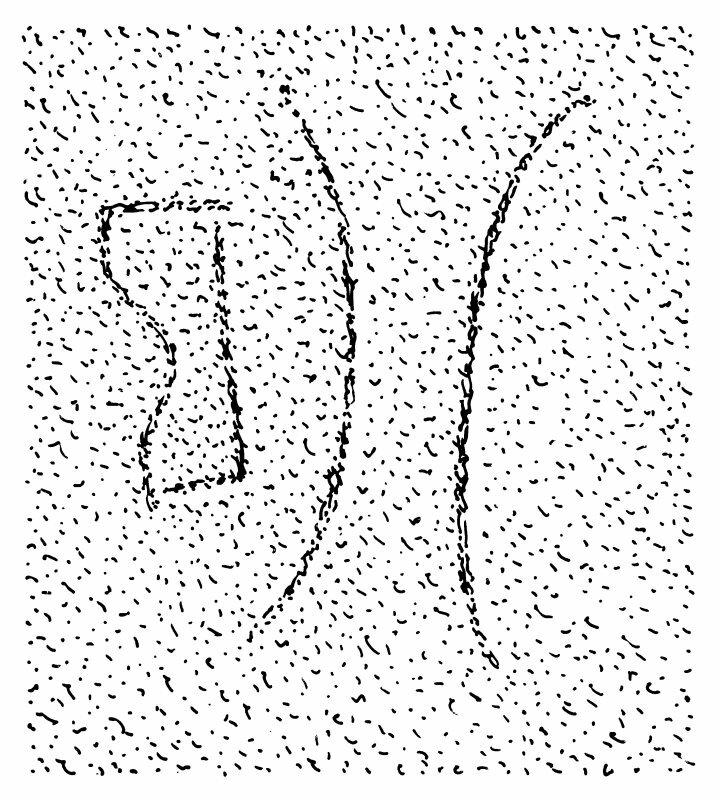 High on the E side of the W entrance, an area of confused incised markings in very soft sandstone, in which a large mirror and a crescent can be discerned. On the W side of the W entrance, a small crescent, possibly with a V-rod (damaged). 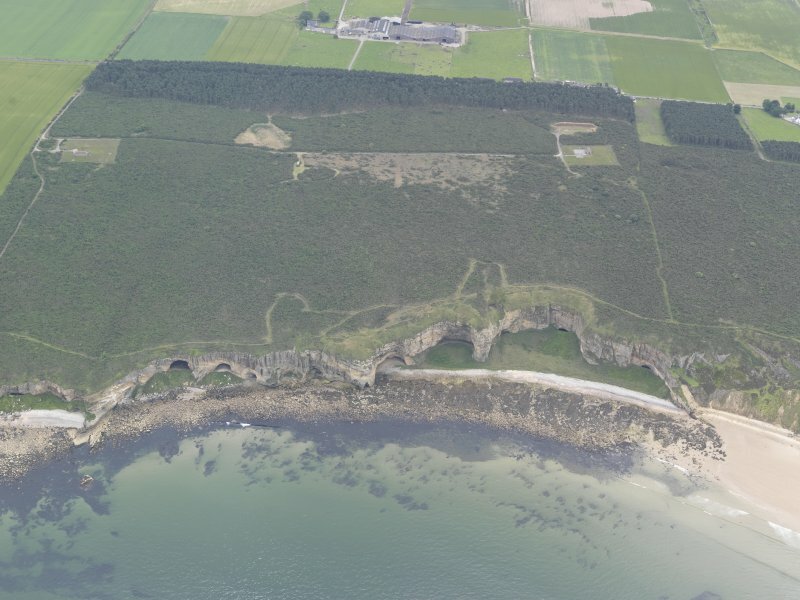 This gloomy and near-inaccessible cave lies in a small bay on the S shore of the Moray Firth. It takes its name from a series of Pictish symbols carved on its entrance walls, and may have served a predominantly ritual function throughout its period of use. 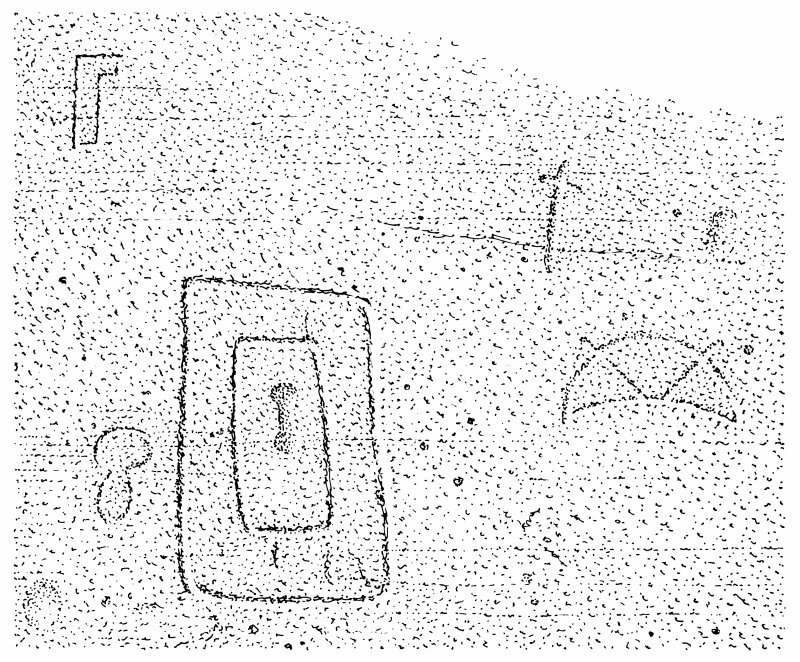 In 1929-30, excavation by Sylvia Benton revealed evidence for two major periods of activity. The earliest cultural deposits are dated by their associated metalwork to the Ewart Park phase (c. 1000-800BC) of the Late Bronze Age. A later occupation layer contained a rich assemblage of Roman Iron Age material (notably coins, rings, pins, beads, bracelets and toilet instruments) ranging from the 2nd to the 4th centuries AD. In the late 1970's, Ian and Alexandra Shepherd conducted rescue excavation on the limited remaining deposits, which Benton had left within the twin entrance-passages; further Late Bronze Age metalwork was revealed. The most striking feature of the cave is the (formerly) substantial assemblage of human remains that was revealed in both programmes of excavation. Benton apparently recovered around 1800 human bones scattered throughout the deposits. Examination (by Alexander Low) was cursory, being limited to the recognition of a 'large proportion of bones of young individuals' among the material discarded. The few bones that were retained were limited to fused cervical vertebrae from adults, showing cut-marks indicative of decapitation. The Shepherds found further bones, including several mandibles from juveniles, which may indicate the display of severed heads at the cave entrance. Notwithstanding the limited stratigraphic control and lack of dating evidence, the entire human bone assemblage was long assigned to the Late Bronze Age. However, re-examination of the cervical vertebrae raised doubts, at least some of the cut-marks having been made by sharp and heavy blades, tentatively seen as iron. Further examination using scanning electron microscopy is planned. An initial bone sample from one of these vertebrae has yielded an AMS date of 1738+/- 33bp (UB-6930), which may be calibrated (at 2 sigma) to AD 231-395, firmly within the Roman Iron Age. Is it possible that the human bones derive from at least two distinct episodes over a millennium apart? The possibility may be considered that there were two periods of deposition, that in the LBA seeing the deposition of the remains of children, with some emphasis on the placing of heads at the entrance, and that in the RIA represented by the remains of several decapitated individuals. Concern with the removal, curation and display of human heads is a persistent trait across prehistoric Europe. To this end, a further programme of AMS dating and osteological analysis is in hand. I Armit and R Schulting 2007. 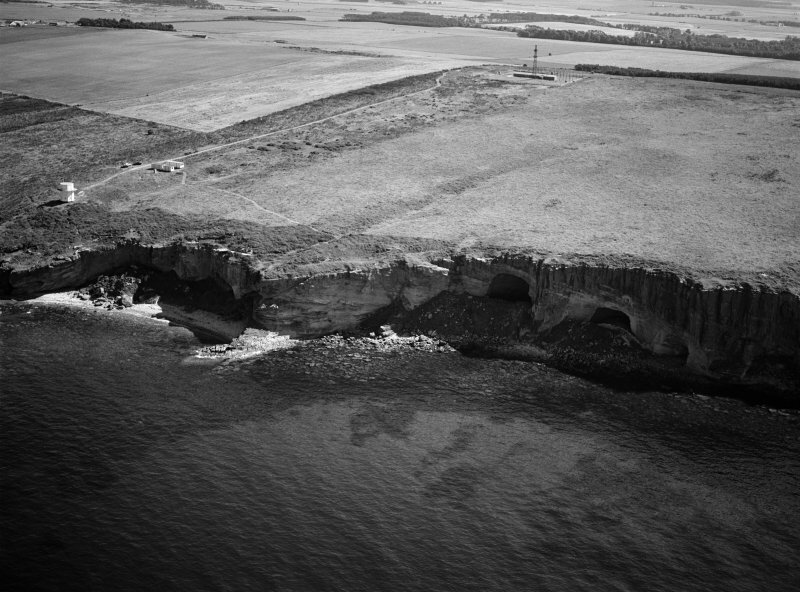 NJ 1750 7072 An excavation was undertaken (as part of the Covesea Caves Project) on what was believed to be Sylvia Benton’s 1928–30 spoil heap outside the cave entrance over two weeks in May 2014. This was undertaken in order to ascertain whether this represented the location of the discarded human bone from the 1930 season of fieldwork and, if so, to recover as much of this material as time and resources permitted. Sondages measuring c2 x 2m were opened up at each end of a trench measuring c6 x 2m. A total of 103 fragments of human bone were recovered, as well as a bone pin and an Iron Age yellow glass bead. 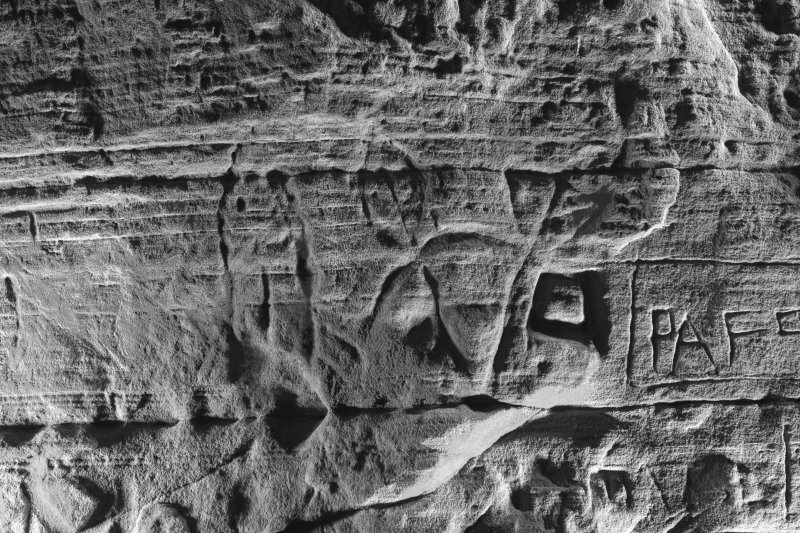 The cave was laser-scanned by Bradford Visualisation (University of Bradford) and high resolution structured light scanning was undertaken by Dr Adrian Evans (Fragmented Heritage, University of Bradford) on a selection of the Pictish carvings. Ground penetrating radar was also undertaken inside the cave. Acoustic modelling was also carried out within the cave by Dr Rupert Till from the University of Huddersfield. 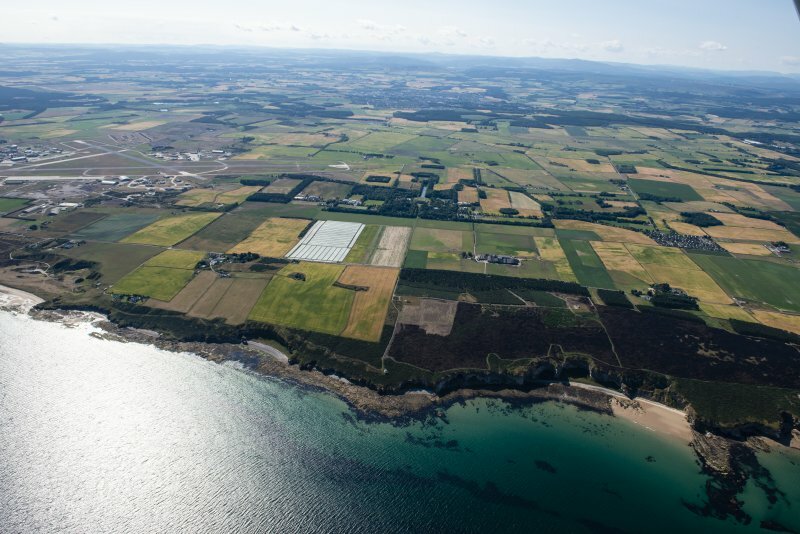 Sculptor’s Cave is located in north-east Scotland on the south shore of the Moray Firth, close to the village of Covesea. It is almost inaccessible, except at low tide, which requires a scramble along the beach before climbing up to the twin entrances at the mouth of the cave. 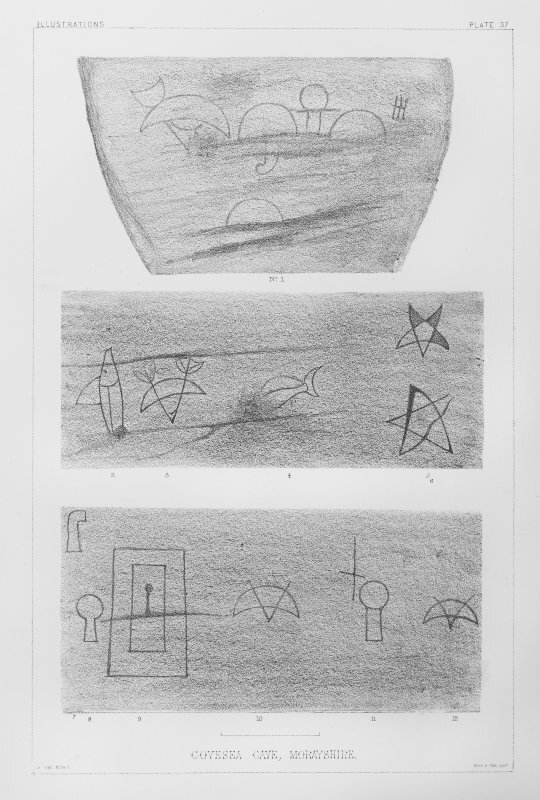 The symbols, which include multiple crescent and V-rods, a mirror, a fish, pentacles, a triple oval, and a flower (Fraser 2008, 106) identify this as an important place, but it turns out much of the activity came long before this. The cave was first excavated by Sylvia Benton between 1928 and 1930, when the peeling back of the layers of sand deposited on the cave floor revealed burnt deposits of black and red soils, and evidence for stone-built hearths. 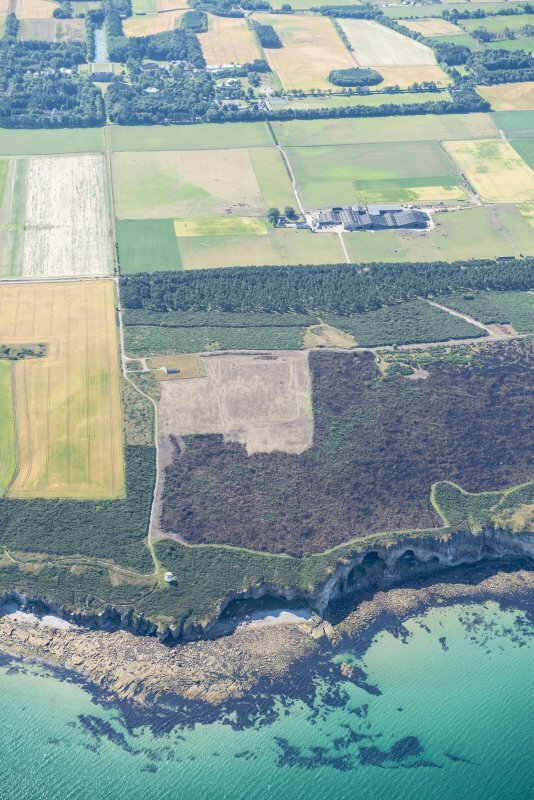 A substantial number of objects were discovered within these layers, which suggested that people were using the cave from the Late Bronze Age through to the medieval period. Many of these finds were quite spectacular, including a distinctive Late Bronze Age metal assemblage as well as a rich collection of finds from the Roman Iron Age (Benton 1931; Armit and Schulting 2007). The site also yielded a significant amount of human remains, predominantly those of children, but their significance to our understanding of the use of the cave had not yet been realised. In the late 1970s, supported by Historic Scotland and Grampian Regional Council, archaeologists Ian and Alexandra Shepherd undertook rescue excavation of the remaining deposits within the cave. Their excavations showed the soil deposits to be complex, with potential evidence for structures within the cave itself. They also discovered additional Late Bronze Age metalwork and yet more human remains. The human remains discovered within the cave entrance deposits strongly suggested to the excavators that the cave had been used for ritual purposes. Benton had discovered evidence for at least 28 individuals, to which the Shepherd’s had added a few more. The bone included fragments of skulls, jaw bones, leg bones and parts of the spine, with some of the cervical vertebrae (the bones of the neck) displaying cut marks which are consistent with decapitation. It has been suggested that these bones are evidence for the curation and display of human remains, which might be viewed as part of a tradition which can be seen throughout prehistoric Europe. Recent work by Ian Armit et al. (2011) has significantly improved our understanding of the human remains from this cave. The researchers have shown that most of the human bone can be dated to two distinct periods of activity; the first and most intensive use is in the Late Bronze Age, between the 12th and the 10th century BC; a second concentration is in the Roman Iron Age, between the 1st and the 4th century AD. The decapitations, which are focussed in the second phase, have been interpreted as executions ‘carried out in a place of ritual importance at a time of rapid political change’ (Armit et al 2011). 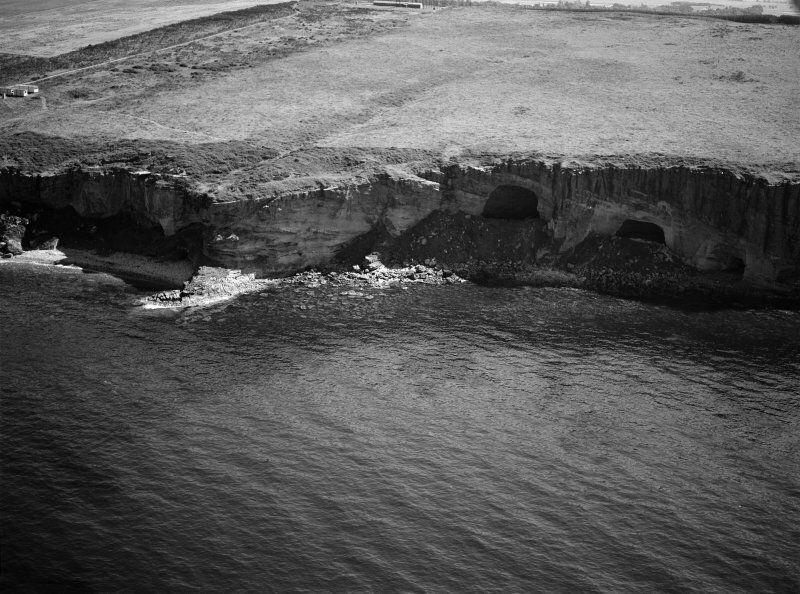 Caves are dark and damp places, often located at the dynamic zone between the land and sea. Their use in ritual activities is attested at other cave sites in Scotland, such as High Pasture Cave on the Isle of Skye, and throughout Europe. 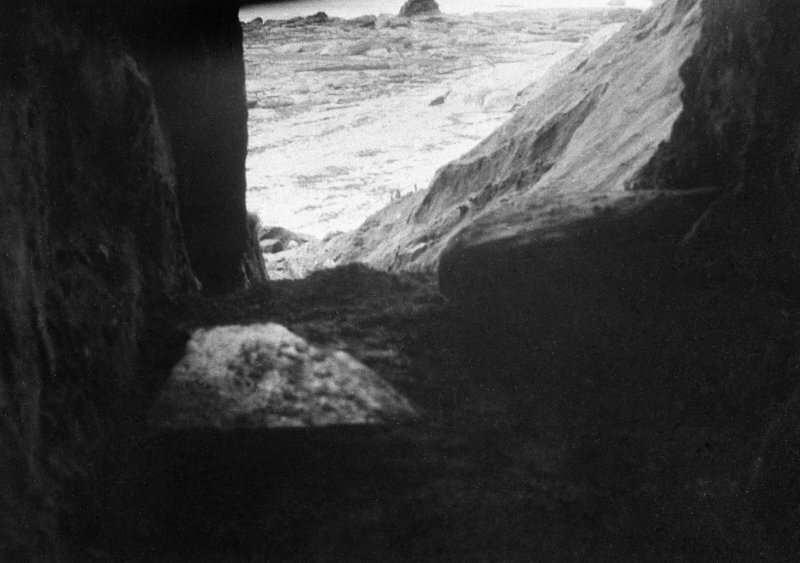 These sites, their location, and the atmosphere within the cave, has led to the suggestion that they are seen as a liminal places, perhaps an area for people to make contact between this world and another. 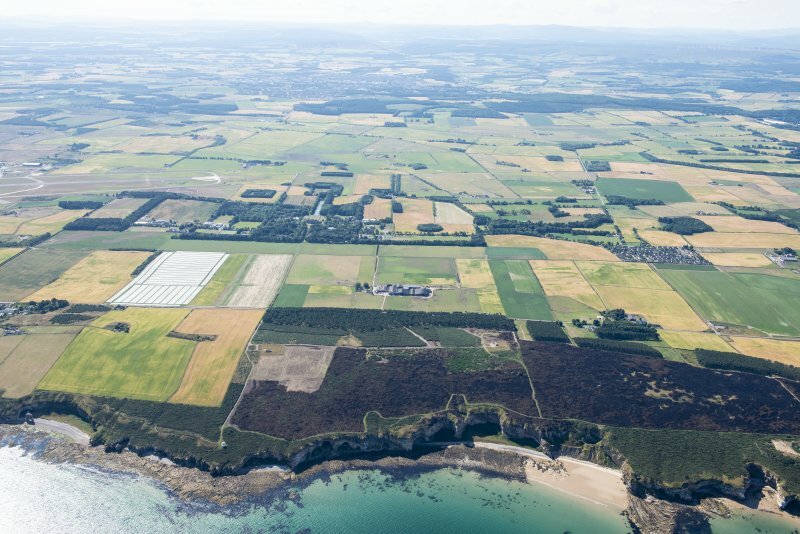 This site remains key to understanding ritual activity in prehistoric Scotland and, with this in mind, the HES Archaeology Programme is funding further work on the site archive, to be finalised in 2018. This will include the collation, analysis and publication of the previous excavations, and is being led by Professor Ian Armit and Dr Lindsay Büster from the University of Bradford. 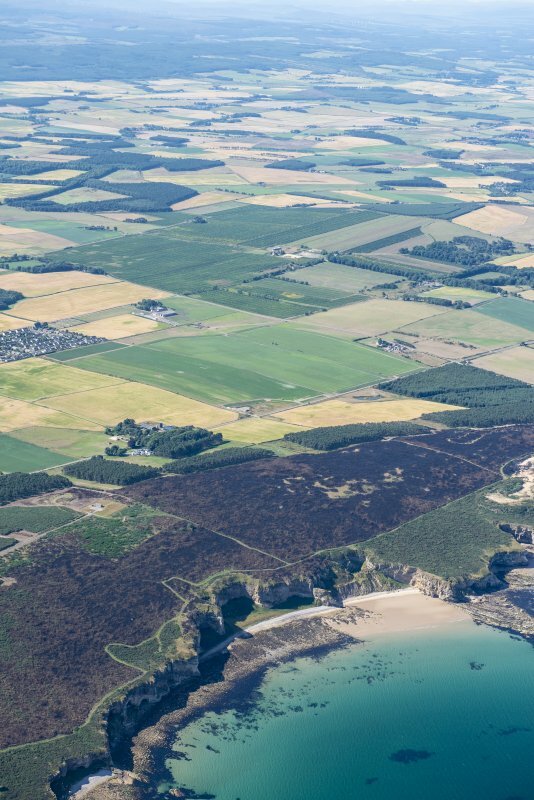 Additional support from Aberdeenshire Council will facilitate the use of innovative techniques, including laser scanning, acoustic modelling, and ground-penetrating radar, to help us gain a better understanding of the use and significance of this site, and to place it within its European context. Fraser, I (ed.) 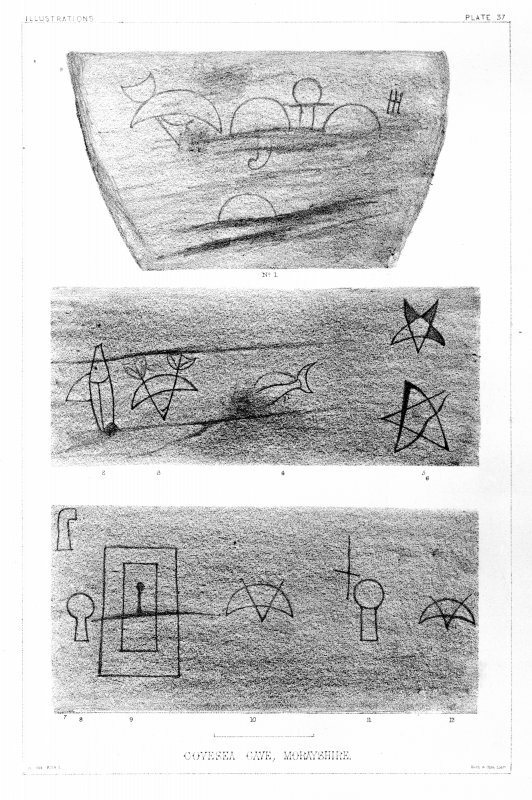 2008 ‘The Pictish Symbol Stones of Scotland’, RCAHMS.